Good golly. I have patience for many things in the kitchen, however despite the allure of this bread, I am steering clear of any attempts to recreate its blistery-golden crust and likely stellar chew. There was, once, a failed attempt at making sourdough starter some ten years ago, after I’d ogled my way through the La Brea Bakery bread book. However after several days, I needed a break and made for a weekend getaway. Needless to say, when I’d returned, my starter was a giant, pungent, purple mass, bubbling over the top of my refrigerator in 85-degree heat. That was my last experience with long-fermentation, and the words “feed me, Seymour!” are always in the recesses of my mind. The humming and cooing over craft loaves in recent articles makes me grateful to live in an area where celebrated bakeries such as Macrina, Tall Grass, Columbia City and Essential Baking Company are within a quick walk or farmer’s market-reach away. I took an extended weekend to spend time with family, peppering it with a bit of travel and baking. 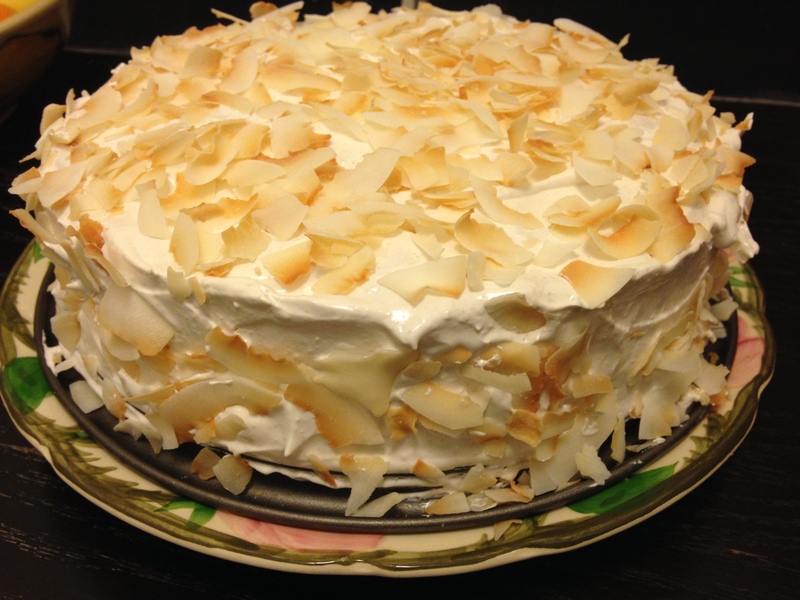 The cake above is just a teaser, as I’m still tweaking the recipe. I hope to post it eventually. The week finds me craving the comforts of home, and of good company. I’d invited a girlfriend of mine over for dinner who prefers to avoid both meat and gluten, so naturally my mind conjured up Eastern flavors. I had some red lentils and a tin of tomatoes on hand, and plenty of spices, along with some ghee I’d made a few weeks back. If you’ve never made ghee, or clarified butter, it’s insanely easy to do; all one needs is a bit of mindfulness and time. Lately, I’m come to favor blooming spices in a bit of fat or oil. Usually I’l grind or bruise them with either a mortar and pestle or, to be truthful, my coffee grinder. If I’m feeling lazy, I’ll just toss them into the dal at the beginning of cooking. Needless to say, freshly-ground or bloomed spices are simply the best way to get the truest flavor and aromatic bang from your ingredients. 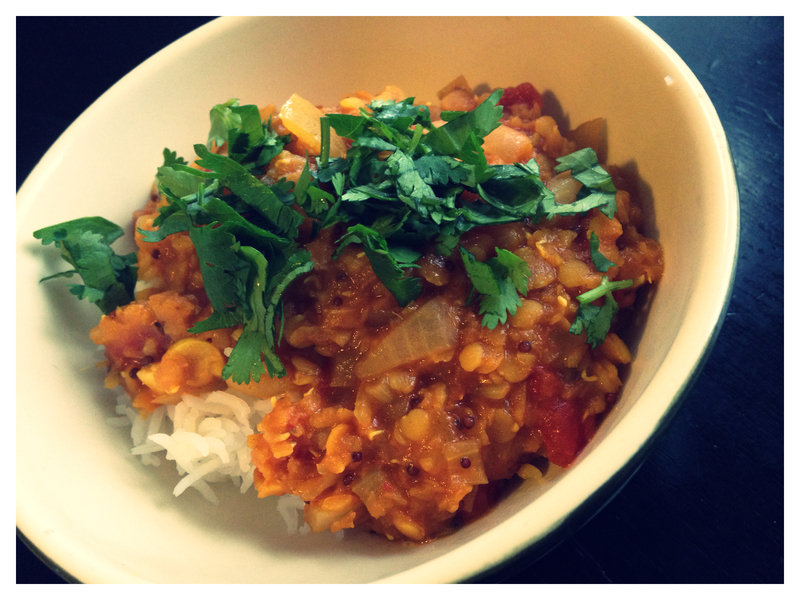 For this dal, I bloomed the spices in ghee, and cooked the lentils along with lots of garlic and ginger and chopped tomatoes. It’s fantastic served with some nutty basmati rice. It’s my ultimate comfort food. Ooh! p.s. I also whipped up some pickles. 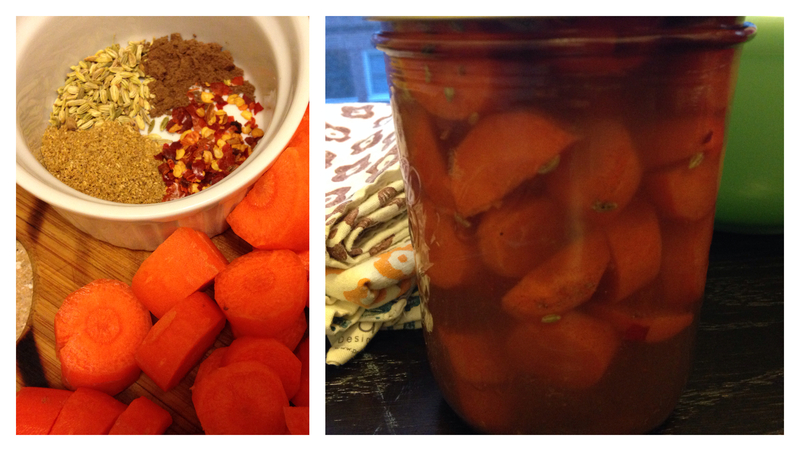 Well, carrot pickles. They should be ready in about 5 days. Combine first five ingredients, including tomato juice in a 4-quart pan over medium high heat. As mixture comes to a boil, reduce to low and simmer, covered. 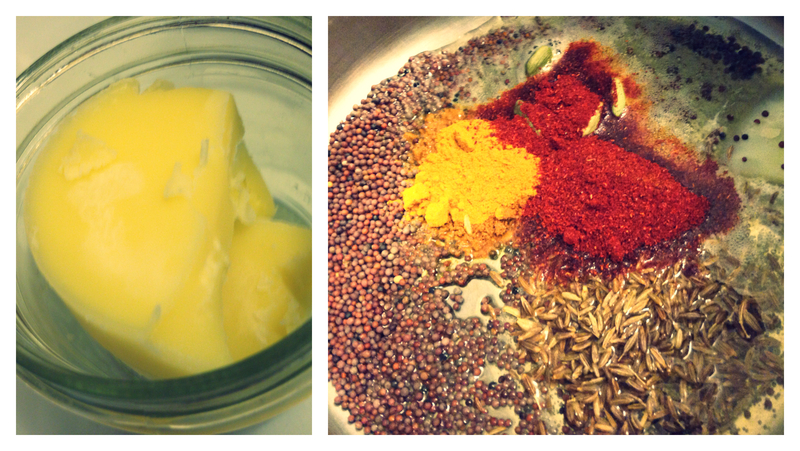 Meanwhile, bloom the spices: melt ghee in sauté pan over medium-high heat. Add spices and toss well, cooking for no longer than 30-60 seconds so as to avoid burning. Scrape ingredients into pan with lentils, cover again and continue cooking. Check lentils for doneness at ~35-40 minutes. They should be soft and mash slightly with the push of a spoon. Season with salt to taste and serve over rice and garnished with cilantro.